Change is inevitable in business. Companies install new software, change their policies, move across the city or country, update their name or logo, and change their products and services on a regular basis. It’s a normal process that keeps companies competitive. But let’s be honest: No matter what kind of change a business goes through, it can be a daunting process. In this Blue Paper, we’ll talk about how you can help ease stress that comes with the change process through honest communication and effective training. We will also share stories of how some organizations used unique promotional products ideas to help manage their big changes. By clarifying your reasons for the change before proceeding—and making sure the reason isn’t “just because”—you can ensure you make the right changes for the right reasons. That will also help you avoid employee and customer confusion as well as lost time and revenue. Take a look at the company’s mission and values statements. Then ask how this change relates to them. If your mission is to provide the very best in customer service, and a new computer program or policy will enhance the customer experience, then change is likely a good choice. Ultimately, a strong “why” serves as a beacon to change management, making your employees and your customers aware of the reasons an important change is taking place. Focusing on a positive outcome in the future will also help managers and employees embrace the change during implementation. More often than not, ideas that result in change start with a single person. The best companies take great ideas from anywhere in the organization—from top to bottom and everywhere between. By having a “why” and a “how” in place, your company can more easily convince managers and employees alike that the coming change will be good for everyone. Before making a change, and as frequently as possible during the process, let managers and employees know which changes are occurring and where the company is in the process. 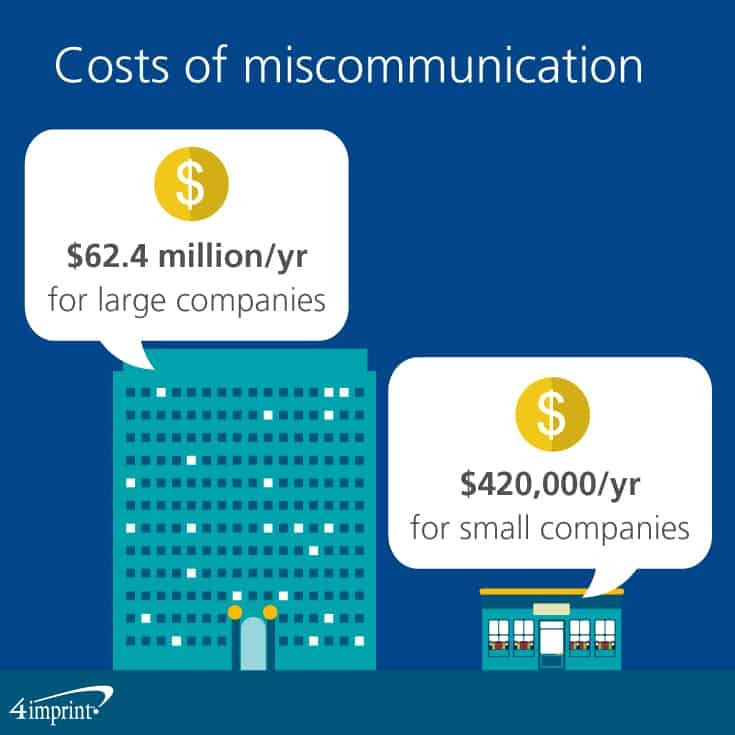 According to an article by the Society for Human Resource Management (SHRM), “A survey of 400 companies with 100,000 employees cited an average loss per company of $62.4 million per year because of inadequate communication to and between employees.” The article also says that miscommunication costs can exceed hundreds of thousands of dollars a year for smaller companies. 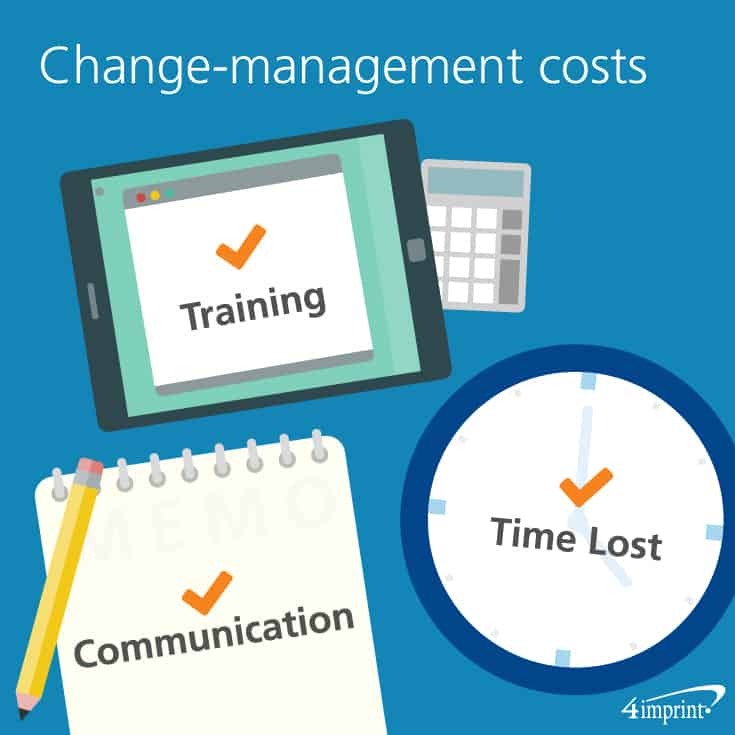 While incorporating changes at your company, lack of communication will almost certainly be even more costly. Loren Branch, marketing and communications coordinator at the University of Michigan School of Public Health in Ann Arbor, Mich., offered some insights about how a Challenger Coffee Mug – White – 11 oz. and the words “I pursue” turned into an invitation to get everyone involved. This helped the organization solidify its brand identity and brand voice. And while they’re still monitoring the final effects externally, they’ve seen extremely positive results internally. In the midst of change, be it small or large, it’s very important to remember that communication goes both ways. So, in addition to keeping your employees in the know, hold listening sessions or allow for some kind of employee feedback process via email or an anonymous survey. That way, questions can be heard and answered. Be ready and willing to answer difficult questions openly and honestly. Take time to watch and listen: Speak to employees directly, while monitoring changes in their habits that may indicate anxiety. Demonstrate genuine concern: Have a point person or group that employees can express concerns to, whether it’s a manger or a transition team. Fix what you can: If there’s a communication issue, or if employees are concerned there won’t be proper training, address it. Be positive: Remind everyone of the importance of the “why” and the “how.” Help employees take ownership of the changes. Train and prepare: Give employees every opportunity to make sure they have the skills they need to handle the new process or procedure. It can also be helpful to build some excitement about the process using training giveaways. 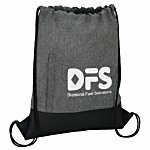 In addition to communicating the change, offer them a Hanes® Tagless T-Shirt or Cotton Sheeting Natural Economy Tote – 9-1/2″ x 9″ with your company values printed on it to remind the employees why a change is being made. In terms of training, too much is always better than too little, especially when it comes to company-wide change. 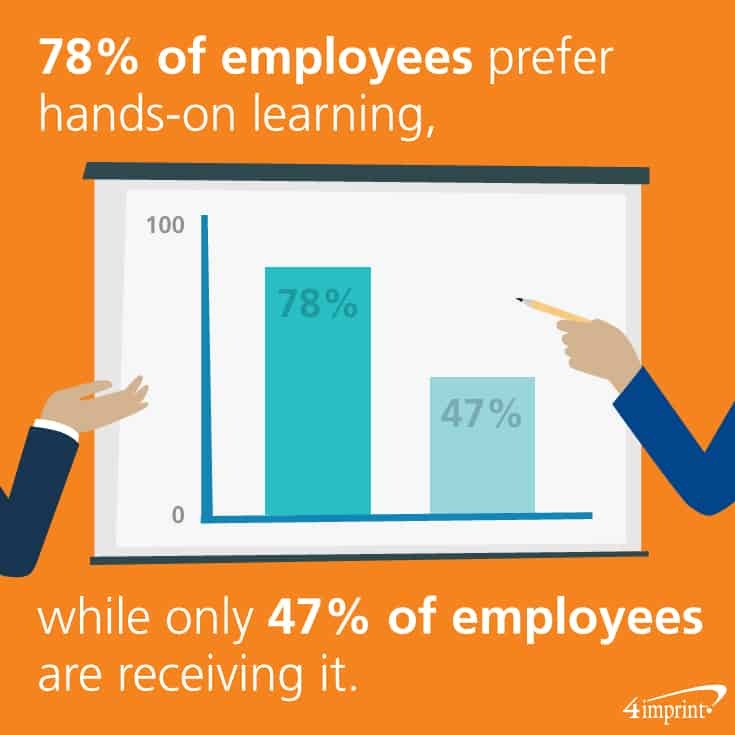 Studies have shown that 78 percent of employees prefer hands-on learning, while only 47 percent of employees are receiving it. And only 39 percent of employees have an opportunity to review the training after it is presented. Entrepreneur recommends using a variety of training methods, including hands-on, mobile apps, in-person and online. This allows employees to learn in the way that works best for them—and gives them the opportunity to retrain as necessary. 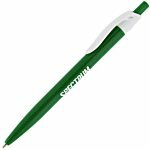 This is also a perfect opportunity to offer employees more training giveaways, such a Pocket Secretary with Pad & Pen – 100 pg. They’ll appreciate having a place to jot down notes and important dates. And remember: When it comes to new processes, new computer programs or any other major change, it also helps to keep communication lines open. Make sure employees feel comfortable speaking up if they need additional training or a refresher course. The statement “If you fail to plan, you are planning to fail” is generally attributed to Benjamin Franklin, and in the case of change management, it’s very true. One of the most important parts of change management is the “drop dead” date. In many ways, this is part and parcel of having a plan for implementation. At some point, the old computer programs and policies must go away to ensure total compliance with the new ones. As always, careful communication will make this moment possible. By setting a final date of implementation, you’ll know when to check in with your employees and managers to determine whether additional training or other assistance is required. Naturally, the final date can always be moved if truly needed. For example, to add training sessions or handle a late-in-the-game software issue. But, by sticking to that date as closely as possible, there’s a much better chance that the final changeover will run smoothly. When a significant change is coming, it’s important to let your customers know. One way to do this is with mailable promotional items. Tried-and-true options include the Business Card Magnet – 20 mil and SuperSeal Postcard with BC Magnet – 5-3/16″ x 8″. 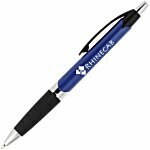 But this is also a perfect time to explore unique promotional products ideas. Try something a little different, like a Mailable Series Seed Packet – Forget Me Not, to remind customers to “forget you not” while your company goes through this change. Or offer a Coupon Card with Magnet to encourage them to try new products or services. And if your name, brand or location is affected, make sure to plan for updating your email signatures, invoice templates, business cards and stationery. Chesapeake Health Care in Maryland has undergone some positive changes over the last couple of years, including a new name and a new building. They used some special events and unique promotional products ideas to keep their community informed. Chesapeake Health Care performs a great deal of community outreach in order to let people know they’re in the area, and to inform them what kind of health care services they provide. To help increase awareness of their new brand, they’ve been handing out Big Thunder Totes – 15″ x 13″ at community events, including a recent AARP gathering. In addition to the name change, they also opened a new 27,000 square foot OB/GYN building. They held a special ribbon-cutting ceremony last summer, and gave an Ice Cool Tumbler with Straw with their new logo on it to everyone who attended, along with all their employees. “The cups were a big hit!” Houk said. Though it seems obvious, it’s worth mentioning that change can truly be transformative. Whether it’s a new logo, a new location or new software, making an internal change to your company can help attract new clients and new opportunities. With a great “why,” careful implementation, strong communication and unique promotional products ideas, change can be a great thing. 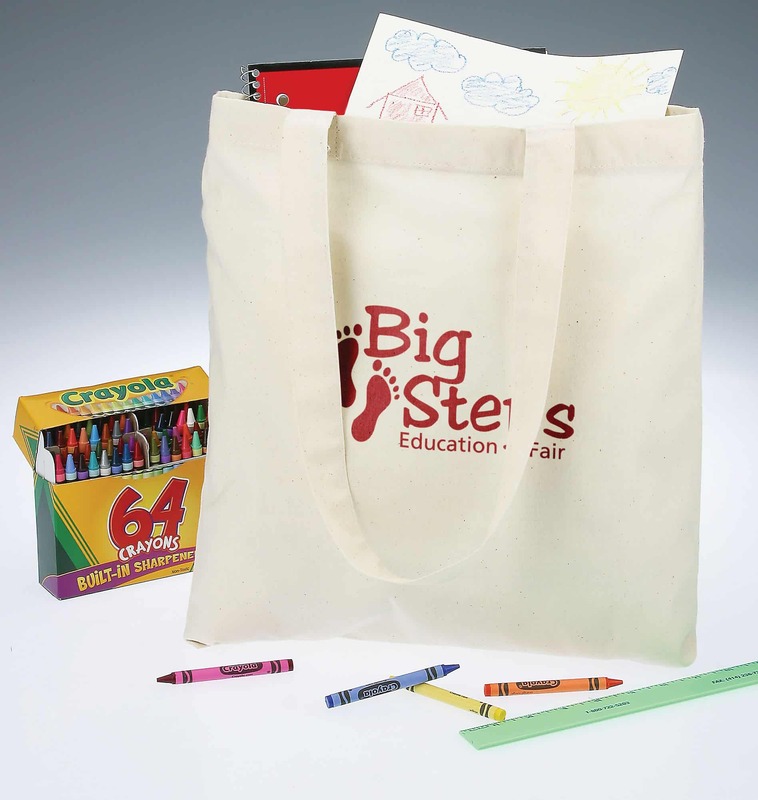 Offer employees and clients this useful tote and fill it with helpful training materials about the changes taking place.